The Renewable Network supports manufacturers, contractors and developers seeking to increase supply-chain competitiveness, and supports the academic and public sectors to engage and understand the renewable industry. Takes a leading role in supporting established businesses looking to grow into the renewable market and supports star-ups looking for rapid growth and investment. In addition, it provides practical business development and information services along with a network of sector expertise. Team Humber Marine Alliance (THMA) is made up of around 100 companies based in the region with comprehensive knowledge and experience in all areas of marine engineering. Members of the Alliance work both independently and in collaborative groups, giving clients the ability to create bespoke supply networks exactly to their specification, using the best suppliers for their projects. When members of the Alliance collaborate they use a framework that binds them into a single entity, allowing clients to work with multiple suppliers under one collective contract, reducing time and management costs associated with larger traditional supply chains. Combining the specialist skills of companies with different areas of expertise enable THMA members to offer extremely high quality, responsive and integrated products and services. 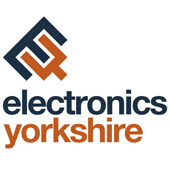 Electronics Yorkshire is a not for profit company, operating a membership network for organisations within or supplying to the electronics industry, promoting collaboration and complimentary services so as to benefit individual companies and the sector as a whole. NDI is a business development company that matches supply chain capability with the requirements of the global defence, security and aerospace industry. NDI works with Prime Contractors, Systems Integrators, Ministry of Defence procurement, logistics and repair agencies to identify and recommend appropriate supplier and sub contractor capability. These Prime Contractors and System Integrators include Alcoa Defence, ARTEC, BAE Systems, Boeing, Finmeccanica, General Dynamics UK, KMW, Lockhead Martin UK, NEXTER, SAAB Bofors Dynamics and Thales. The 200 subscribing NDI member companies play a vital role in the continued success of the defence, security and aerospace sector in the UK – a sector that generates some £22 Billion annually and secures more than 160,000 direct jobs nationally. Originallyy frmed in North East England, NDI membership is now country-wide.